About Us – Fully Completely Inc.
As 19 time winners of The Era Banner’s Readers’ Choice Awards it’s clear to see we are the best in our field! 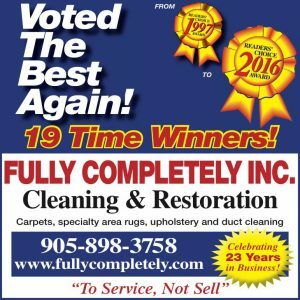 Fully Completely Inc. is a full service Cleaning and Restoration Company located in Newmarket Ontario. 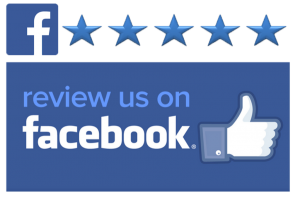 Started in 1994 this family owned and operated company was once as a small one man carpet cleaning operation and has grown exponentially since then. Always looking to fulfil the needs of the community, services offered have grown and evolved to fill in wherever needed. What started as a dream of being able to support a family grew into the multi vehicle and multi service fleet that it is today. Fully Completely Inc. remains in the hands of its original owner and prides itself on guaranteeing its customers are “fully” and “completely” satisfied. The Fully Completely motto “To Service, not sell” has been a key part of its success. Semi-annual check-ins with customers keep Fully Completely top of mind and build a personal relationship that has been long lost by most others. Our friendly office staff has a combined experience of over 40 years bringing trusted knowledge and advice to any “unexpected” situation. Copyright FULLY COMPLETELY INC.© 2017. All Rights Reserved.